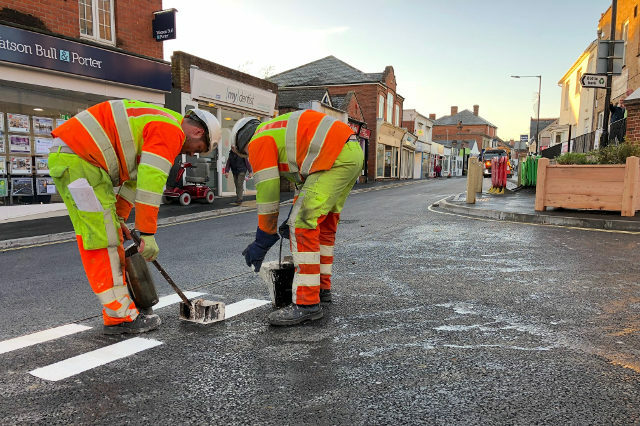 If you’re out and about on Isle of Wight roads today (10th January) find out more about possible travel delays by looking at our list of Isle of Wight roadworks and road closures. Works description: Dig down to replace a manhole frame & cover in the carriageway. Works description: REPLACING O/H WIRES AND A LV POLE. BACKFILL AND REINSTATE. Works description: To excavate a small trench from the kiosk located in the footpath to the chamber located in single lane of H/W, under Give & Take T/M off peak hours of 09:30 – 15:30. Works description: FRESHWATER 456806 – BLOCKAGES – Excavate onto BT ducts for the clearance of duct blockages in to facilitate spine cabling works. Works location: SUNNYSIDE COTTAGE, NORTON GREEN , FRESHWATE, IOW. Works location: 49 QUEENS ROAD , COWES, ISLE OF WIGHT . Works description: UPGRADE WATER SUPPLY TO HOUSE. 2 Comments on "Isle of Wight roadworks and road closures 10th January 2018"
Seems rather a selective list, I can’t find anything on significant closures at West Street and Pellhurst Road in Ryde…? As it states at the top of the article, this list is of “Isle of Wight roadworks or road closures starting today or tomorrow”. If roadworks started on Monday, they would not be included in this list. This is the full list from the Elgin system (which Island Roads add their schedules to) and not edited down in any way.